The ABtUS IFP-600 Series of modular interface panel comes in both UK (86mm x 86mm) and US (70mm x 114mm) single and double gang sizes that could hold 1, 2 or 4 modules per plate respectively. 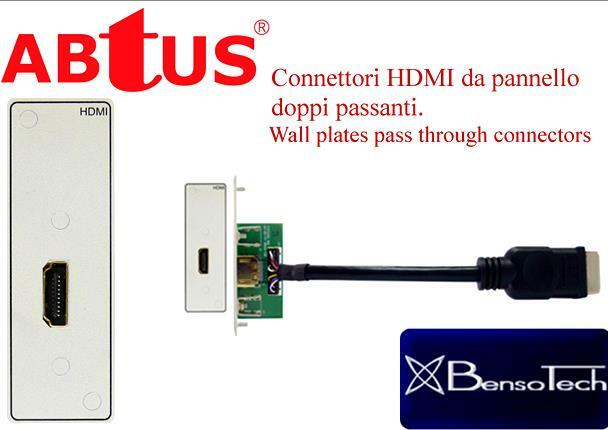 ABtUS also offers a wide selection of modules for added flexibility. The modular plate comes with an option of an additional control button for simplified input switching and controls. The IFP-600 Series is designed and manufactured using robust metal plate for added durability.